This might not be a sight you will see in the future. 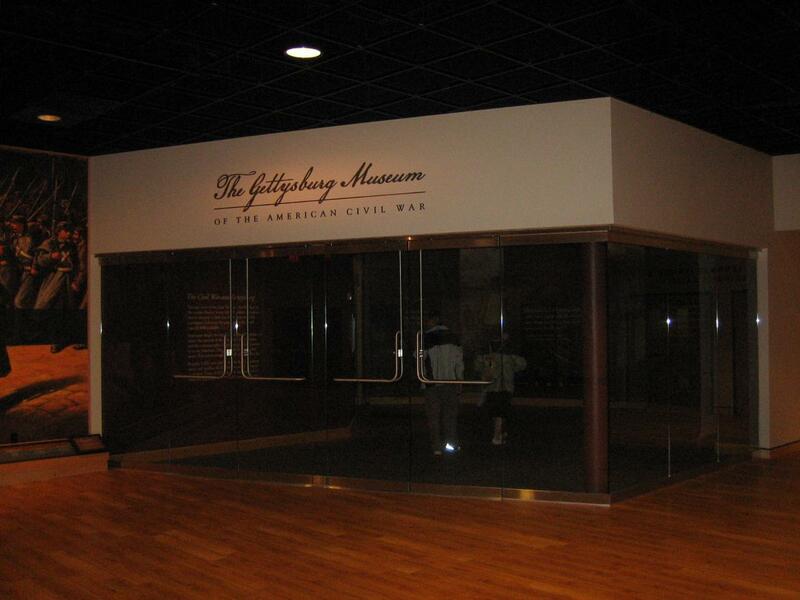 The National Park Service and the Gettysburg Foundation are proposing charging a fee for the museum. In the future, one could see ticket takers in this location. This view was taken from the southeast facing northwest at approximately 6:00 PM on Thursday, August 28, 2008. With only “18% to 24% of visitors to Gettysburg National Military Park paying $8 to see the 22 minute film, “A New Birth of Freedom,” the Gettysburg Foundation projected revenue projections are $1,784,780 short. The Cyclorama presentation, which will open September 26th, along with the movie, was to demand a fee of $12.00 per adult. Now however, the National Park Service is proposing that the Cyclorama, movie, and the museum all be on the same ticket for a price of $7.50. The good news is that if you are an adult, you can see the Cyclorama/Movie as many times as you would like for one fee. The bad news is that school groups whose field trips have been greatly reduced because of the price of gas and the economy will now be charged $5.00 a student to see what was a free museum since the National Park Service took it over in 1972. The Gettysburg Daily’s Editor is a public school teacher and a Licensed Battlefield Guide. He could take his group around the battlefield, and show them the museum for free during the Spring of 2008. It was a good experience, especially on rainy spring days. Since our school sends 300 people on the field trip over three days, however, we are not going to be able to come up with $1500 each year. So we have to ask: Why can’t the price of the movie and the cyclorama be reduced to $7.50 (or $5.00), and leave the museum free? When Kinsley made his proposal to build the museum in the late 1990s, one of the reasons he won the bid was that he was going to keep the museum free. Kinsley thought the movie/cyclorama could raise the revenue needed, and he beat out others who had proposed a fee for the museum. 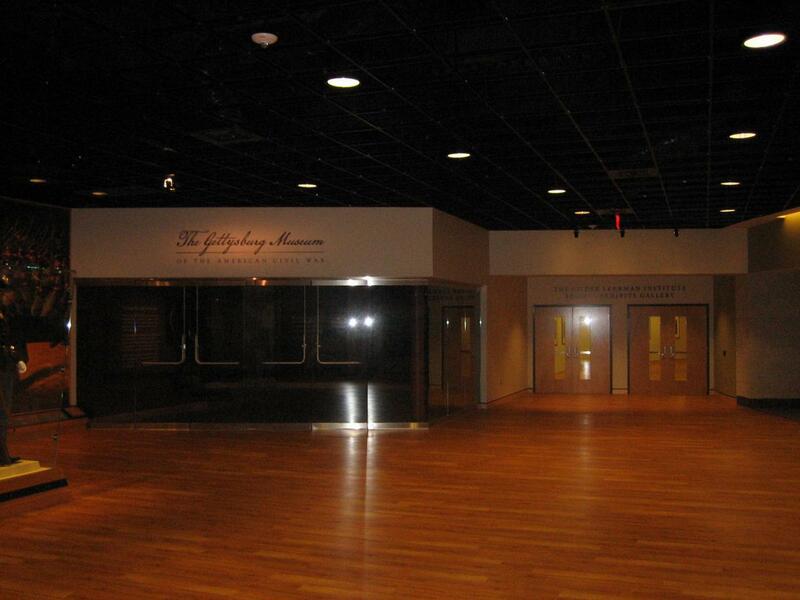 The Visitor Center hasn’t even had its grand opening yet, and here they are proposing a charge for the museum. 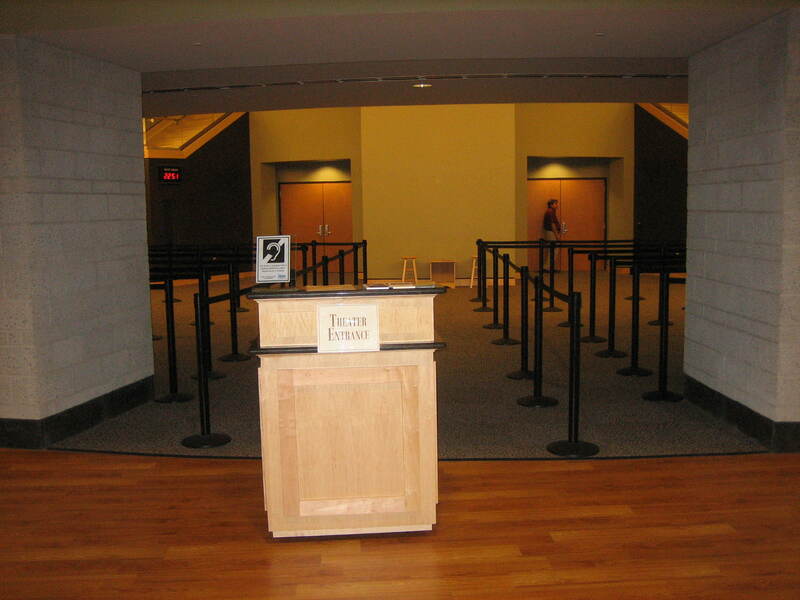 The foundation also made people think the museum was part of a larger fee earlier this year. See our post for June 28, 2008. If the proposal for the museum fee goes through, visitors would purchase an all-in-one pass at the ticketing and reservations area. This view was taken from the southeast facing northwest at approximately 6:00 PM on Thursday, August 28, 2008. 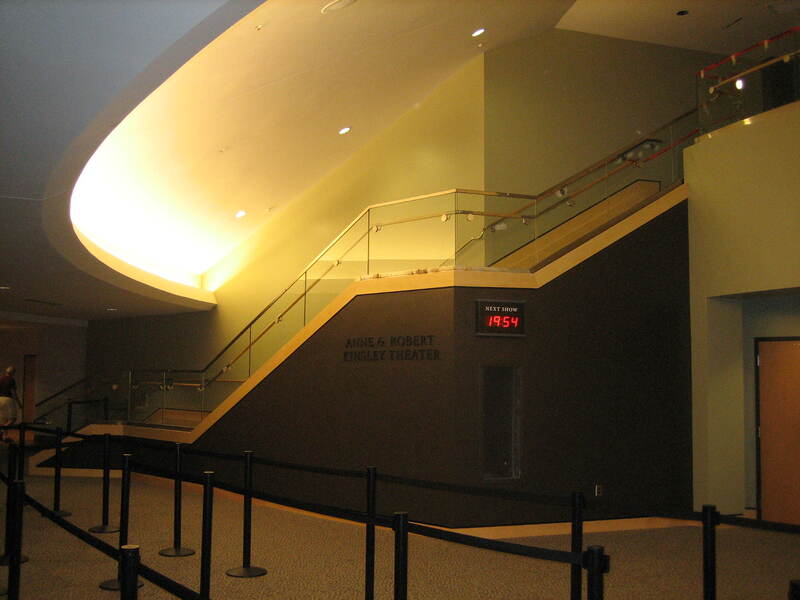 They can use the pass to see the movie, and an escalator, or if needed an elevator, will take them upstairs to the Cyclorama. This view was taken from the south facing north at approximately 6:00 PM on Thursday, August 28, 2008. After the Cyclorama program, they will then come down the stairs if they are able to walk, or take the elevator if one is needed. This view was taken from the southeast facing northwest at approximately 6:00 PM on Thursday, August 28, 2008. 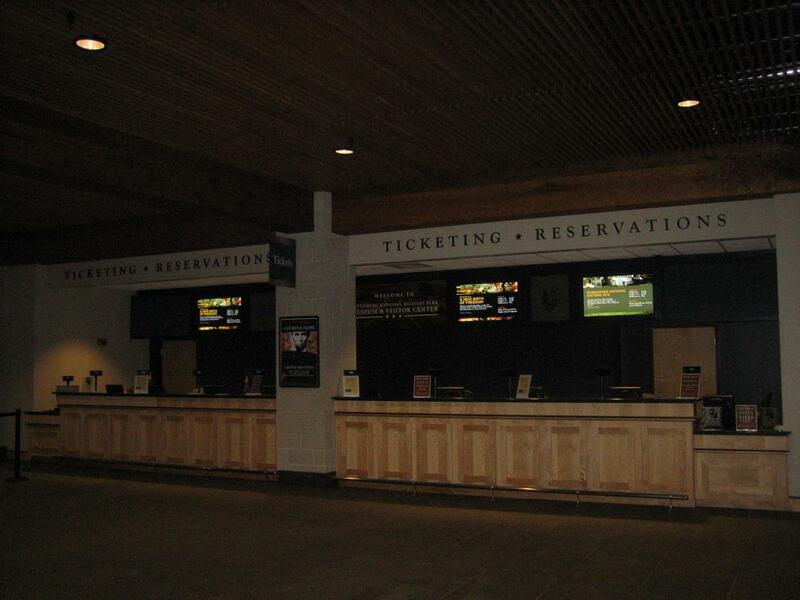 Ticket takers would also be posted at the entrances/exits to the museum. Public comments must be made to the Superintendent on the proposal before September 29, 2008. The link is [email protected]. This view was taken from the southeast facing northwest at approximately 6:00 PM on Thursday, August 28, 2008.